Well there I was, sitting in the `office’ tree, minding my own, waiting for that big ole bear that’s been leaving his calling card on the forest floor. When the leaves suddenly start to rustle, , thump, the ole heart on high alert ! Unable to pin point the noise or direction, seems close, too close ! Then I realize it is coming from under the tree….lean forward, carefully, OMG ! 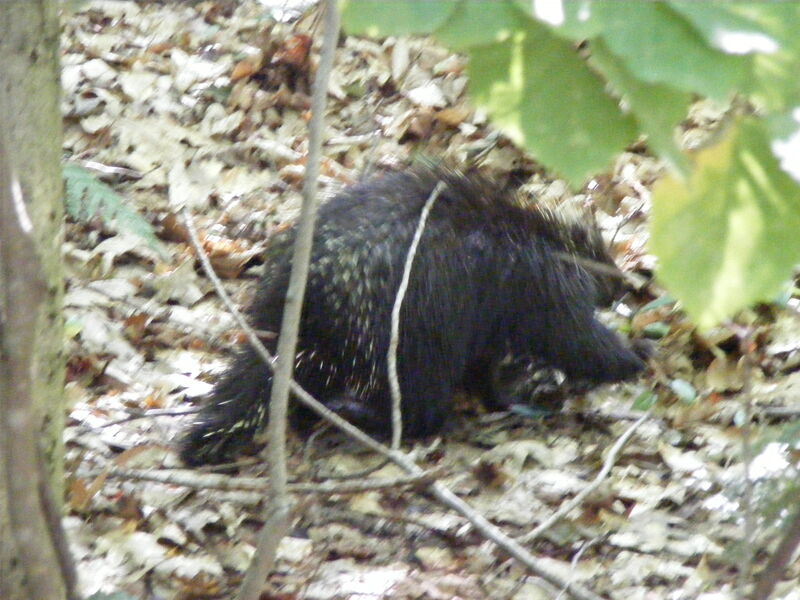 Mr. porcupine had found my hiding spot ! We chatted for a while, snapped off some `shots’ and then we parted ways for another day ! Enjoy.